The House Choir competition on Tuesday and on Wednesday evening, we held our first ever evening House Music final – a showcase of talent in a variety of instruments and genres of music. 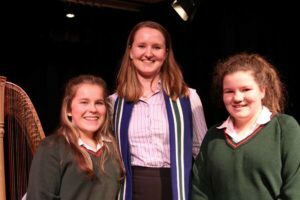 After some 150 entries in the first round of the House Music, and the hotly contested House Choirs round on Tuesday, the Final took place on Wednesday. 15 girls from each house performed for our adjudicator, old girl Clare Aldrich (og2012). The winning house will be announced after half-term. Prior’s Field House Drama Competition.